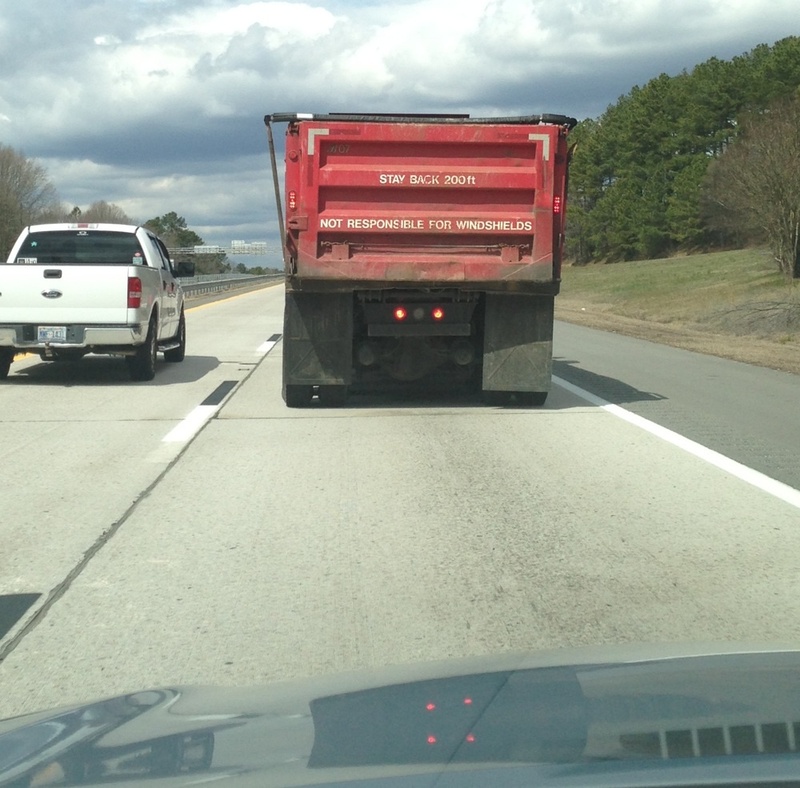 Your Problems Are Not My Fault | Normative Signs: The Poetry of "Ought"
Wayne Norman sent this one, of a truck on a highway in North Carolina. I like the two-part message. First, the advice: “Stay back 200 ft.” Ok, good advice (even if not heeded often). Big trucks often kick up stones that can crack windshields. So far so good. 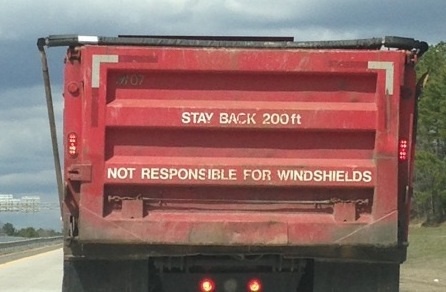 Then comes the disclaimer: “Not responsible for windshields.” That part raises questions! Who says the driver (or owner?) of the truck is not responsible? Is that a claim about legal liability? And if so, is it true? And does it mean strictly not responsible, or not responsible if you don’t heed the advice about keeping your distance?